For the seven readers out there that follow my blog, sorry it has taken this long. Apparently, the post SEA Games hangover that my training is experiencing has also affected the updating of this blog. But here we are so on to the action! 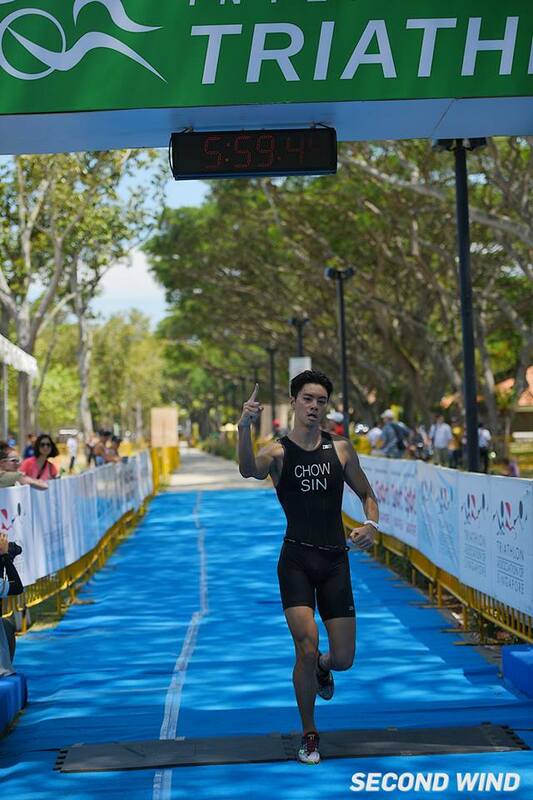 The Singapore Triathlon 2015 was held at the usual spot at East Coast Park on more or less the usual course. Having raced on this course a couple of times already this year, I was quite happy to give it a miss. However, I was looking for something to keep things interesting. There was a new category introduced this year – the Super Sprint Relay. I’m guessing that this was modeled after the Mixed Team Relay that the ITU has introduced (and is trying to get into the Olympics). In our case, a team of 3 athletes completed a super mini triathlon one at a time, instead of the ITU standard of 4 athletes. 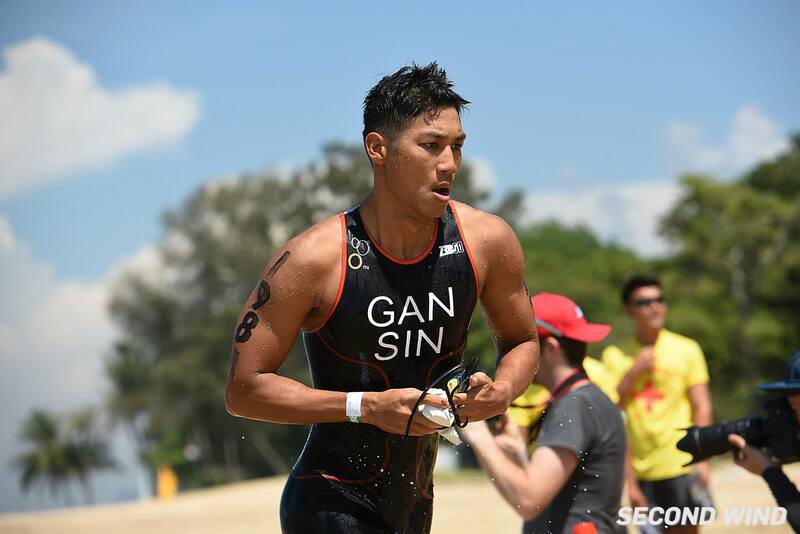 For the Singapore Triathlon, the Super Sprint distances were 200m Swim, 6km Bike and a 1.8km Run. A couple of quick text messages later, I managed to sucker Kenneth and Clement to join me and Loo-Chow-Gan was formed. I didn’t see a spot on the entry form to fill in a team name, otherwise you know that we would have had a much cooler name instead of one that sounded like a neighborhood zi char restaurant. It was smoking hot on race day and with our race slated to start at 11.45am, it was going to be toasty. With the distances so short and being sort of a ‘novelty’ event, the atmosphere was pretty relaxed. We got to ECP to set up our bikes as most of the main races were finishing. There was some confusion with the flow of traffic in the transition area from swim entry to bike out. Unfortunately, the volunteers weren’t too sure either so we settled on a monkey-see-monkey-do approach. There were 12 teams on the start line with some strong competitors. We figured that the guys to watch would be the Timothy Cosulich team from Arrivo Primo Singapura (APS) and Bryce’s team from TRDESQ. True enough, the Super Sprint Relay got off to a blistering start. Good thing we sent our swim specialist, Kenneth, as he was the only one to keep pace with Bryce on the swim. Out on the bike, the athletes were all still pretty tightly bunched with things only spreading out as they entered T2. Timothy caught the boys on the bike and extended his lead on the run. Bryce handed off to his TRDESQ teammate in 2nd place and Kathryn Haesner edged past Ken towards the end of the first leg. Taking over in 4th place, I set off to try to take as much time back as possible in the short 200m swim. The swim proved to be far choppier than it looked. Swimming on adrenaline, my breathing was all over the place but I managed to move into 2nd, about 90sec behind APS as I made my way to T1. After a less than efficient transition that saw me rather ungracefully fiddling around with my bike shoes, I was off to try to take back more time before we hit the run. Back into T2, I had 1.8km of running make up 55sec. It was a good decision to go with the bigger lens on my sunnies, they helped to hide the amount of pain this Super Sprint was causing me. Coming back past the hawker centre towards the changeover zone, I passed the APS athlete to give Clemmie the slightest of leads heading into the final leg. 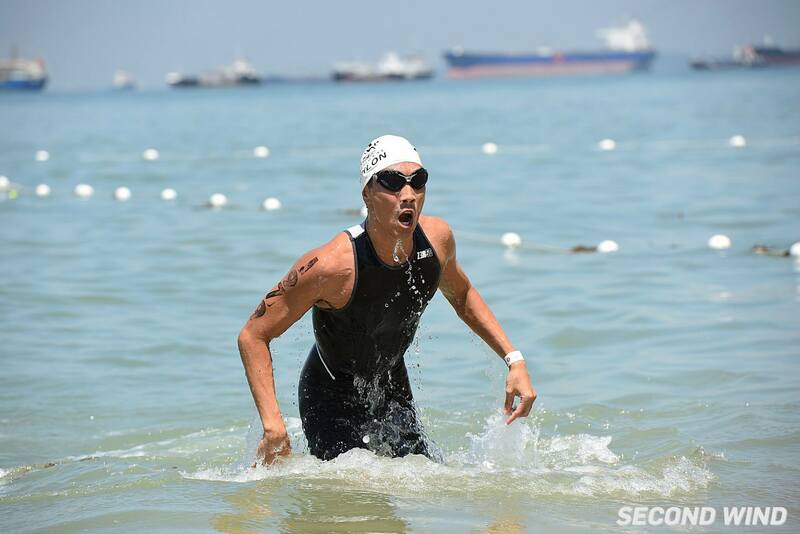 Clemmie pulled out more of an advantage on the swim and exited T1 with about 45sec on the second placed team. 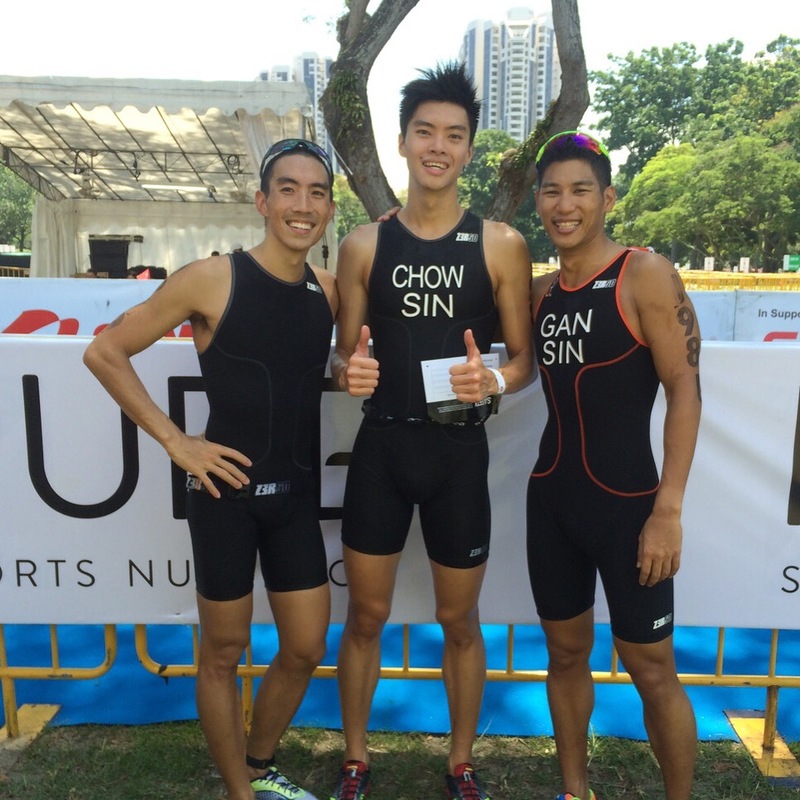 As East Coast Park was heating up under the midday sun so was the action out on the race course! Giving back a bit of time on the bike, Clemmie used a smooth transition and a typically solid run to bring us home in 1st by just under 30sec. #supersprintrelaychampions! 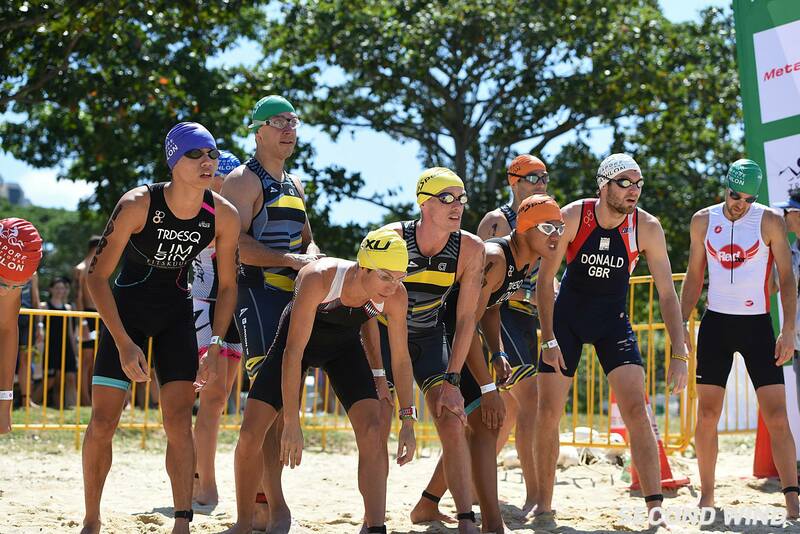 We really enjoyed the Super Sprint Relay and it’s a format that we hope will become more popular with the athletes and organisers. Things are a bit more chilled out than when heading out there on your own and there is a bit more banter between the teams, but the racing is fast and furious. There’s nothing easy about the shorter distance and it’s a pity that there weren’t more spectators around to watch the athletes lay it all on the line to do their best for their teams! Long Jubilee weekend coming up so the plan is to get some training in to jump start the system. This jump starting has been going on for a while already, but I’m sure it”ll work this time! It’s tough to keep sight of long term goals some times so it’s time to pick a few races to keep things moving along! Happy National Day Singapore, see you out there.